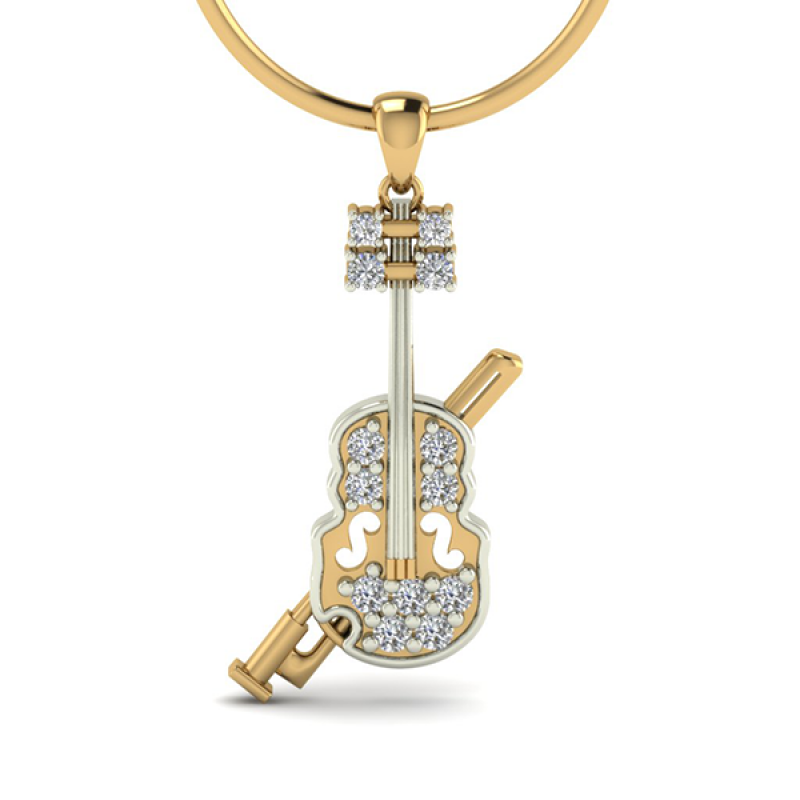 Designed to celebrate the music in you, this charming Violin pendant is like no other. The pretty piece of jewel features a gracefully designed violin dotted with dazzling diamonds and accompanied by a bow. What can be a more perfect gift to your son or daughter than this Violin pendant before their first big concert? Designed to treasure the spirit of music, the violin pendant is a graceful addition to your wardrobe. It is a perfect piece of daily wear and complements any attire, from jeans and formal office wear to sarees and casual party clothing. The artfully crafted pendant with its appealing appearance will certainly stand out anywhere you go.